Kiran Desai’s The Inheritance Of Loss is an award-winning novel which deals with the Indian immigrant’s status in the United States. This is a fictional account that deals with Biju and Sai and their transition from colonialism to post colonialism. The Inheritance Of Loss is a novel by Kiran Desai that narrates the journey of an illegal immigrant Biju and the anglicized Sai living in the U.S. The novel introduces the protagonist, Biju, as an illegal immigrant. Biju works as a cook in Sai’s grandfather’s household. This work juxtaposes two narratives, one dealing with Biju’s life in the U.S and the other with Sai in Kalimpong, being raised by her maternal grandfather. Set in 1986, the narrator begins the tale with Biju who has been trying to make a living in the U.S. Desai tries to trace the conflicts that are associated with immigrant groups, especially Indians. There is also a constant reiteration of the past within the present frame of narrative in the novel. The protagonists are caught in an interesting paradigm; he rejects and resists the American culture, yet he also realizes the need to fit in in order to make a living. The prospect of going back to India and living in abject poverty is a fearful one for Biju. The author, through this fictitious narrative, touches upon the real life anxieties of Indians living abroad that face an identity crisis. Sai’s grandfather, Jemubhai Patel, faces such a dilemma despite his successful legal career. He is frustrated with those that cling on to the traditional Indian customs. He adopts the English way of life completely. Desai also deals with the post colonial hangover which creates a sense of loss amongst one’s own race as well as in the American community. Snobbery, anger, mistrust, and a loss of traditions are some of the themes that Desai tackles in The Inheritance Of Loss. The Indians and the American Indians both struggle for a sense of self in the social space. The author also incorporates the historic Gorkhaland Movement in the story. Kiran Desai is best known for her novel, The Inheritance Of Loss. Most of her works deal with social issues in post-colonial India such as the inability to transition from the past to the present and migration. Her first published novel was called Hullabaloo In The Guava Orchard for which she was critically praised. She won the Betty Trask Award for this book. 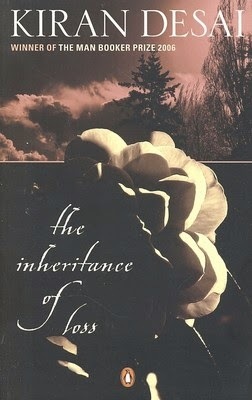 The Inheritance Of Loss was critically acclaimed and won her the 2006 National Book Critics Circle award for fiction. She was born on the 3rd of September, 1971. Daughter of the noted author Anita Desai, she has been shortlisted for the Booker Prize several times. She was born in India but was raised and educated in England and the U.S.